Hydropower has been used for hundreds of years in watermills and is now commonly used to generate electricity in applications such as hydroelectric dams and tidal power plants. Explore the power of water by building models and conducting experiments with them. Learn about how different devices are used to extract useful energy from moving water — from a waterwheel in a small stream to a giant turbine in a tidal power station. 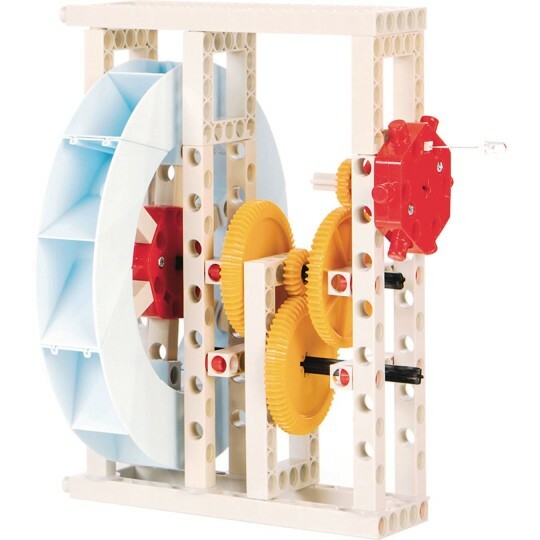 Build a waterwheel, a sawmill, and a hammer mill to harness the energy of moving water to do different types of physical work. Investigate the intriguing properties of water by performing experiments involving surface tension, adhesion, and cohesion. Learn about water pressure by building a water tower, communicating vessels, and a water fountain. 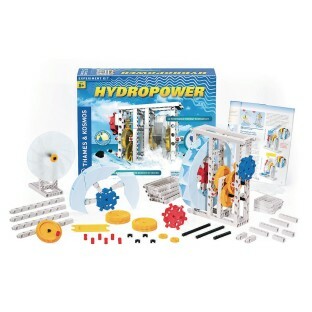 Construct a hydroelectric power station to generate electricity and light an LED. Learn about where the energy in ocean waves, tides, and rivers comes from, and discover how we can generate electricity from them. The full-color, 32-page experiment manual offers illustrated instructions and scientific information. 12 experiments and building projects Harness mechanical energy from water to do physical work. Generate electricity to light an LED. Learn the physics of water turbines. Discover why hydropower is a promising source of energy.